Translucent shell enables peak and side visibility, allowing the wearer to look upwards without the need to tilt the head. Extra strong yet ultra lightweight polycarbonate shell, offering UV protection. 6 point textile harness, adjustable size. Vented shell for extra air flow. Zero VAT rated. 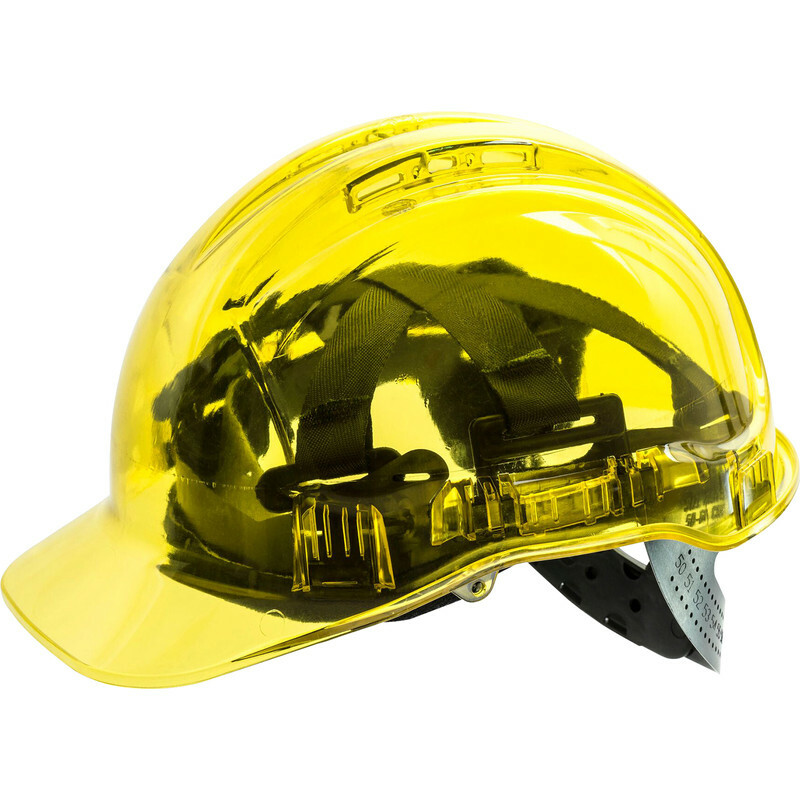 Peakview Safety Helmet Yellow is rated 4.0 out of 5 by 1. Rated 4 out of 5 by Shhh from Excellent except the fastening at back is annoying As above. Clear visibility comfortable light weight.